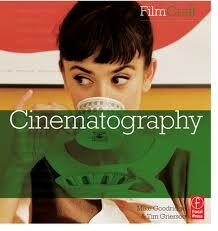 THE FILM PATROL: BOOK REVIEW: "FilmCraft: Cinematography"
What the hell is a d.p.? That’s a director of photographer, or a cinematographer. One is given an Oscar each year for his or her efforts. Sounds impressive. Yet, what do they do? Doesn’t the director make the film? Most of the people who write about cinema don’t really know a damn thing about how it is done. Including me. I was very lucky, then, to get a chance to review “FilmCraft: Cinematography” recently. The cinematographer, it turns out, occupies that space between the director and that which is to be recorded. They mediate the picture itself – not merely a film’s look, but its total presentation – what the camera sees, how it moves, how the performers relate to it. Theoretically subordinate to the director and producer, the cinematographer must ensure that a story is told, and told convincingly. This means many times working with impossible budgets and deadlines, location restraints, and the whims of chaos. Somehow, all these must be transcended to at least gather enough visual evidence from which to assemble a movie. Thankfully, authors Mike Goodridge and Tim Grierson avoid the prescriptive route entirely. We are not given a historical discussion, or a tedious technical exposition. (OK, there’s a glossary, but it’s in the back, and rightly so.) Instead, 16 artfully conducted, in-depth interviews, with the questions excised, with top-notch cinematographers with widely differing sets of experiences, temperaments and techniques dominate the book, including Vittorio Storaro (“Apocalypse Now”), Caleb Deschanel (“The Right Stuff”), and Barry Ackroyd (“The Hurt Locker”). These are punctuated by five “Legacy” profiles of landmarks figures in the discipline – James Wong Howe, Raoul Coutard, Jack Cardiff, Sven Nyquist and Freddie Young. By letting the subjects focus on concrete experiences rather than theory and eliminating the back-and-forth of conventional interview-writing, Goodridge and Grierson let the book take the shape of a long, relaxed and friendly conversation that gently grazes across the topics needed to understand the work involved. Surprisingly, a subject that seems intimidatingly complex is humanized. We learn how working relationships with directors are formed, how the cinematographer serves as the actors’ first and sometimes only audience, and just how improvisational much of a day’s work is, even when big stars and enormous budgets are concerned. Despite their differences, all these interviewees have a few commonalities – desire for a strong story to serve. Ellen Kuras says, “There’s a big difference in making imagery – just doing the shot – and telling the story.” All of those who speak here recognize and respect the collaborative nature of cinema. And, all of them take pride in their ability to get the job done. A key phrase, “writing with light,” surfaces here, and really clicks the reader’s brain over to the idea that every image in a film should be necessary, full of information, compelling. There is some talk of aesthetics here, but the subjects speak primarily to problem solved and challenges overcome. There is a bit of forward-looking discussion, too, about the transitions in approach made necessary by digital shooting, small-screen presentation and 3D filmmaking. The result is an honest, huts-and-bolts look at this craft that will serve as an excellent primer for the ignorant, a guidebook for the aspiring professional, and a source of insight and anecdote for everybody else. I can’t recommend “FilmCraft: Cinematography” highly enough!